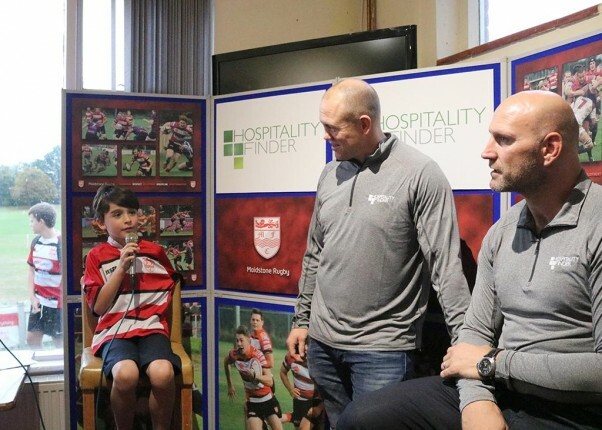 Hospitality Finder partnered with the Maidstone Rugby Club on the 27th September to bring our brand ambassadors, England rugby legends Lawrence Dallaglio and Mike Tindall, to the club to meet its members. 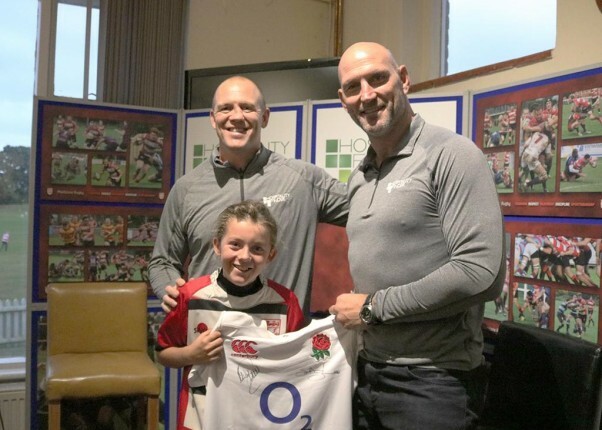 Hospitality Finder partnered with the Maidstone Rugby Club on the 27th September to bring our brand ambassadors, England rugby legends Lawrence Dallaglio and Mike Tindall, to the club to meet its members. As we believe strongly in putting back into the grass roots of the sport it was a great opportunity to work with this local club and give something back to a sport that we are extremely passionate about. Members of the youth club sections entered into a competition to meet their rugby heroes ask them a question and receive a signed shirt. Once arriving at the club the lucky winners got to meet the ambassadors and ask their questions, some of which included What is the most important thing in rugby to learn and practice? And What was the toughest point in your playing career and how did you overcome it? After the Q&A session there were plenty of opportunities for members of the club to chat to Lawrence Dallaglio and Mike Tindall. They heard about their experiences in professional rugby and playing for England. Following the meet and greet the ambassadors took part in a training session with the senior squad teams, which included the men’s team, the veterans and the Ladies’ team. It was a fantastic opportunity for them to pass on their knowledge to the members and to give them some great coaching tips. The senior team members were able to learn from the rugby legends experience from playing at the highest level of the game. After the training session had finished the senior squad members gathered together with the ambassadors to get some great club photos. Off the pitch Lawrence and Mike rounded off the day by taking part in another Q&A session with the senior members of the club where they entertained the audience with stories from their England rugby days. This was slightly out of routine for the ambassadors who can normally be found hosting our Green Room suite at Twickenham Stadium, which has quickly become one of the most sought after places to entertain guests and is always a sell-out event for the major internationals at Twickenham. 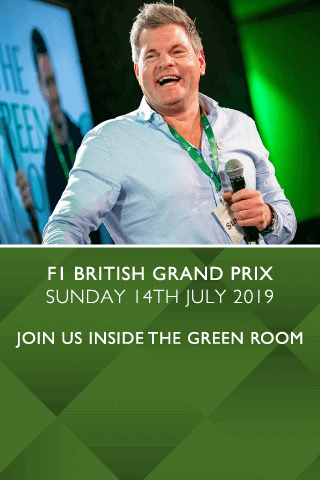 Alongside Lawrence Dallaglio and Mike Tindall are fellow global stars from the game Will Greenwood and Austin Healey as well as being joined by current and former legends of the sport, making this one of the most enviable locations in Twickenham.